“In our community, one in five adults do not read above the 5th-grade level,” states Jana Marbut-Ray, Director of Operations. 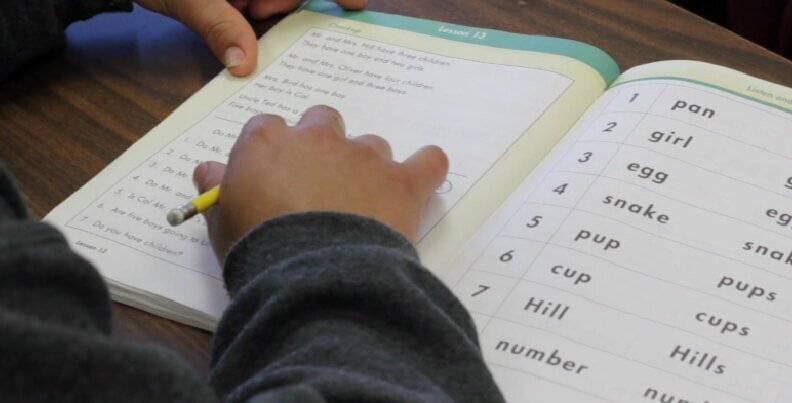 “In fact, 52% of the students who attend our classes do not have a high school diploma or GED.” Center of Hope established the Adult Basic Education program to help students like Alex learn and improve on basic literacy skills. Through one-on-one instruction, tutors work with students to help them achieve goals they set for themselves, such as learning how to read, filling out a job application, obtaining their High School Equivalency (HSE), or even receiving college prep. Since 2010, Center of Hope has partnered with WISD Bowie Learning Center to address the education needs of adult learners in our community. Together, we work on solutions that unlock a student’s potential by opening up reading, writing and math skills, by teaching basic study skills, and by providing basic job readiness. Alex has a long road ahead of him, but his desire to learn will offer great rewards as he works on achieving his career goals and improving his financial stability.